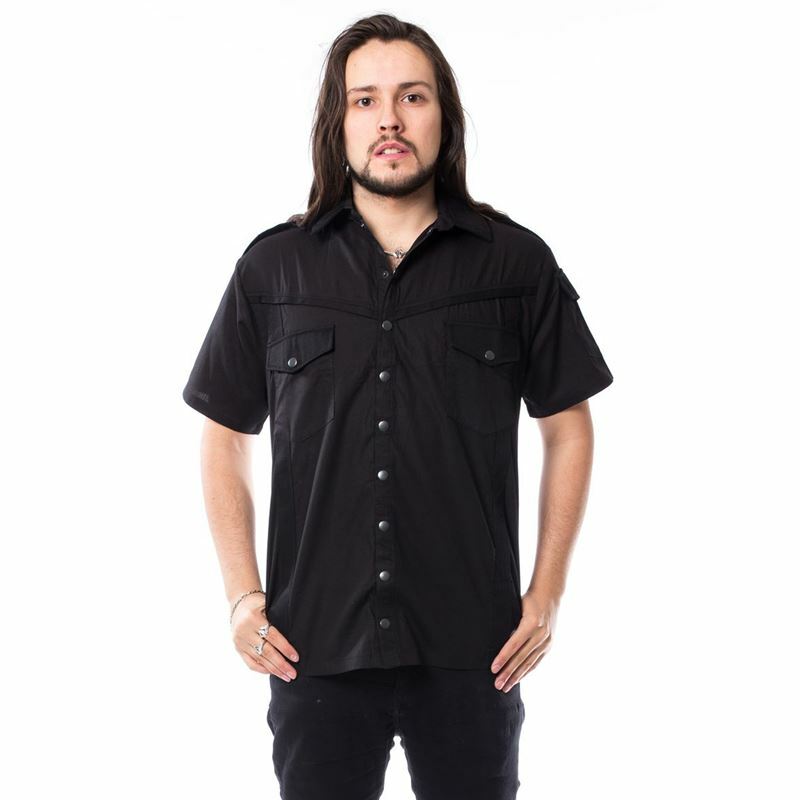 Alternative style black cotton shirt. 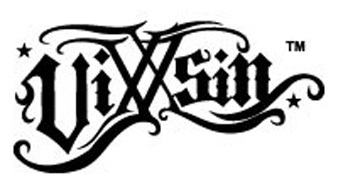 Collar neckline with 'Vixxsin' labelled strap to back. Popper fastenings to front. Two pockets to front with flaps and popper fastenings. 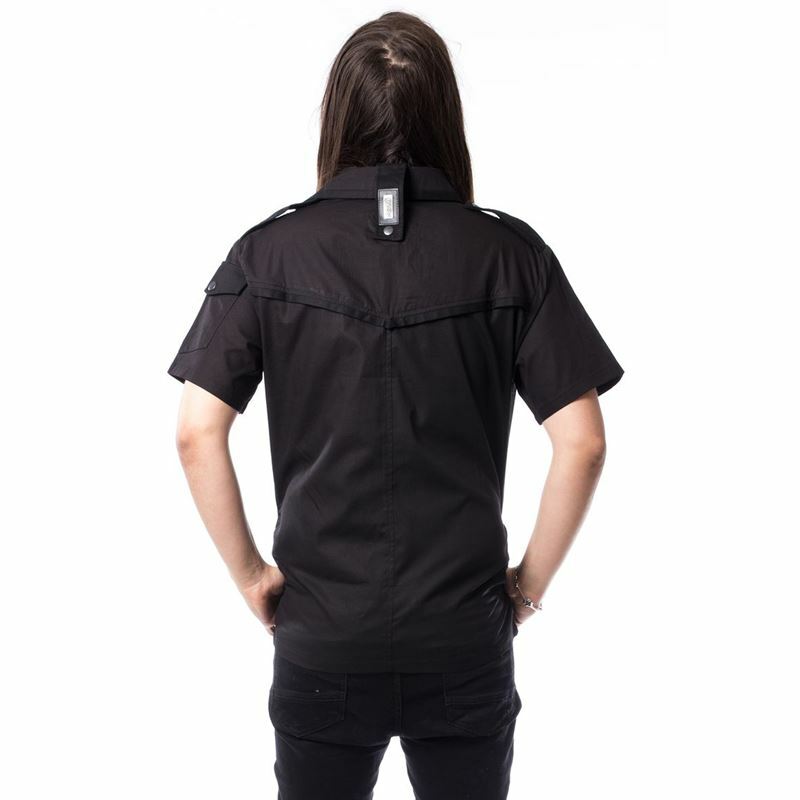 Short sleeves with shoulder straps and pocket to one sleeve. Front and back yoke finished with black braid. Straight hemline.